Letting go and leaning back, trusting the rope I was hanging from, the pullies in the ceiling, and my friend I was hooked to was exhilarating. The third time. The first had a touch of “OMG I am going to die” fear. 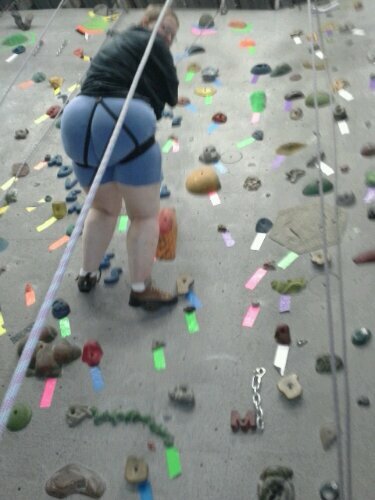 But by that point I had scaled a good 12+ feet up that wall on my own accord and I had to get down somehow. This is by far not the most flattering series of photos of me. 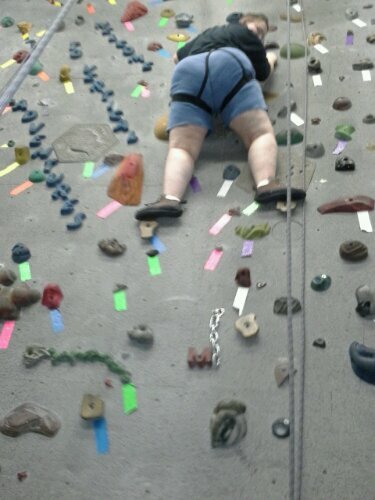 Gym clothes plus harnesses don’t make for photogenic qualities. And the photographer was concentrating on holding onto the other end of the rope. But mother fuckers, I was up a wall! Go you! 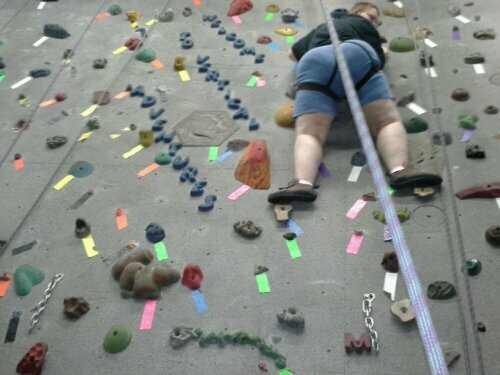 whn I am done making a baby I am so going to do a couple of scary as hell things – rock climbing is definitely one! My first boyfriend told me I needed to lose weight to do it so I never did. Guess I should have lost him and done it anyway!